Information provided on this page applies exclusively to the use of this website, and does not contain any information on the use of TCMax or related products. Finding help is as easy as choosing a topic from the left side of the page. If you require further assistance after consulting this page, please contact our support staff by clicking here, or by calling (419) 826-0444. The license key provided to you for registering TCMax may be associated with your web account to gain access to exclusive features. Before starting this process, please obtain the support id of your license (you may have to contact your IT department). If you do not have your licensing information, please contact us at (419) 826-0444. To associated your license and web account, begin by logging in to the site. If you do not have an account, click here. Navigate to the 'Manage Account' page by using the navigation bar at the left side of your screen. Navigating to the 'Manage Account' page. 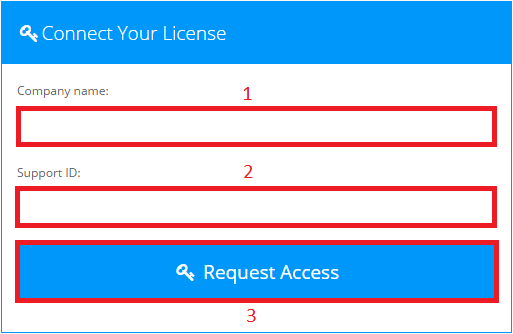 Once on the Manage Account page, begin by completing the form in the upper left titled 'Connect Your License'. 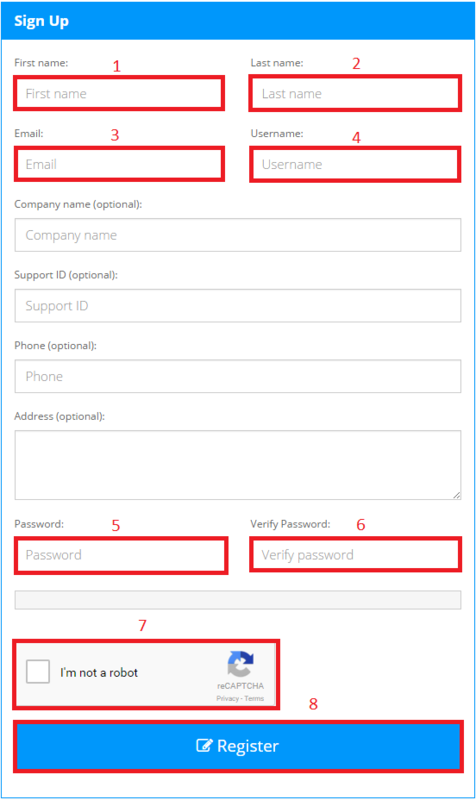 Enter the name of your company (used for registering your product), as well as the support id of the license you are connecting. When you have finished entering the information, click 'Request Access'. You will now be logged out by our system and forced to login again for verification purposes. If you are the first person to register the entered license with the site, you will be set as this license's manager in our system. If you are not the first person to register the entered license with the site, you must await the approval of a license manager before being associated with the license. After associating a license with your account, you will have access to features such as the support ticket system, software downloads, purchase history, and more. A strong password is vital to keeping your personal information secure on the web. Hackers and criminals actively seek your personal information, and will attempt to guess and use your passwords accross the web. Using a different password (even by changing a few characters or numbers on your original password) for every site you use will keep your personal information much safer than using the same password everywhere. For example, in the event that your email address you use for this site becomes compromised, hackers and criminals will attempt to access other sites they find you use using your email address's password. If you know your password, start by logging in to your account. Using the navigation bar to the left of the page, navigate to the 'Manage Account' page. In the upper right corner of the page is the password changing tool. To change your password, enter your current password, your new password twice (for verification purposes), and click 'Change Password'. Your changes will be effective immediately. 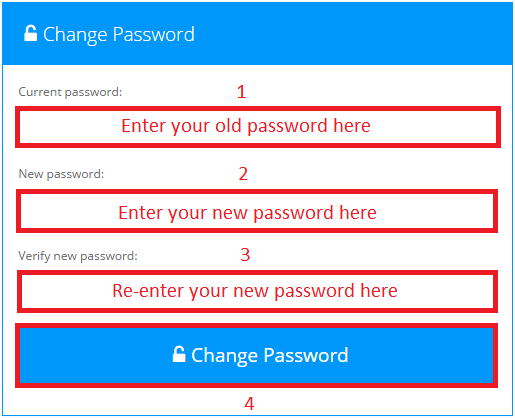 This tool allows you to change your password. Before we show you how to change your password, we would like to give you a few tips on creating strong, yet memorable passwords (we promise it won't take too long). Before creating a strong and memorable password, we must explore what makes a good password. Good passwords will be at least 12-14 characters in length, with mixed-case letters, numbers, and special characters (like !, @, #, +, etc.). Strong passwords cannot contain any part of your personal information, such as your name, username, email, etc. (Six + Three) * (1/3) = Three! This is a big number 1,000,000,000! Now that you have an idea on how to make a hard to guess, yet easy to remember password, let's change your password. The first thing you will need to do is come up with a new password. Take some time to think about this, and don't try to come up with something too quick. Once you've got the perfect password, navigate to the login page using the navigation bar at the top of the screen. 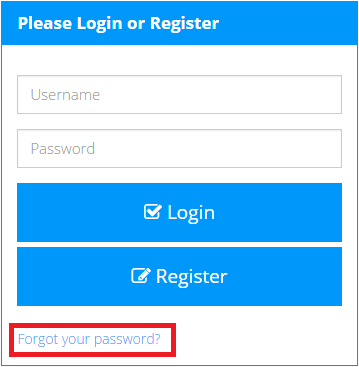 On the login page, locate and click the 'Forgot you password?' link on the login form. You will be taken to the password reset request form (as shown below). Enter the email you used for your account, and click 'Continue'. An email will be sent to the entered email address with instructions for resetting your password. The email will contain a link that you must follow, as well as a password reset security code. Click the link in the password reset email. The password reset request form. 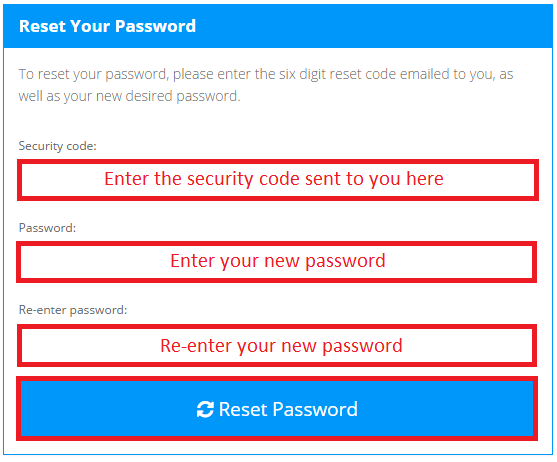 After following the password reset link, you will be brought to the password reset form. Enter the security code sent to your email address, along with your new (and hopefully improved) password. Click 'Reset Password' to reset your password. If performed successfully, you will be prompted that your password has been changed, and that you may now log in with your new password. This is the password reset tool. Start by navigating to the 'Login' page using the navigation bar at the top of the page. The navigation bar at the top of every page. On the login page, click the 'Register' button at the bottom of the login window (or click here). Click the 'Register' button on the login form. Provide us with all of the required information (name, email, username, and password) to register. If you own a TCMax license, and would like your account to be associated with it, enter your company's name and support id on the registration form. You may also optionally provide us with your contact information. We do not sell your personal information such as your phone number, email address, or street address. We will only use your information to contact you for support purposes or in emergency situations regarding the security of your account or license. Once you have successfully completed the registration form, you will need to verify your account via email before logging in. Check the inbox of your email address used to register with our site, and follow the instructions provided in an email that our system will send you. 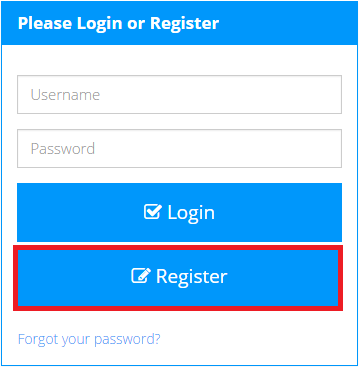 Once you are registered, you are ready to login. The sign-up form used to register with our site. No robots please. To access the download to TCMax, you must be logged in to your account. Once you have logged in to your account, click the 'Software Downloads' button in the navigation bar on the left side of the screen. The 'Software Downloads' page contains a list of all of our software releases. 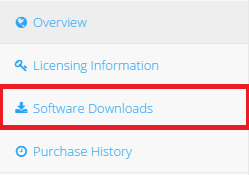 Our latest release of TCMax will always be the first download on the page. Find the software release you would like to download. After finding the software you would like to download, determine the type of processor you are running (either 32 or 64 bit), and click the download button for your processor. If you are not able to click the download buttons, and are prompted with an 'Access Denied' message, then either your selected license was not in support when this software was released, your demo has expired, or you do not have access to an approved license. If you are still not able to download the desired software after checking that you do not meet the aformentioned conditions, please contact technical support at (419) 826-0444. Hardware items that you have purchased through Soaring Software Solutions for your TCMax installation will be associated with your TCMax license. Our system tracks all hardware items for your license(s), and is available to view via the Account Hardware page. If your organization has split one or more of your licenses into child licenses, and you have hardware associated with your license, you may need to use the 'Manage Hardware' tool to properly assign hardware items to their appropriate license. For instance, if your organization has purchased a barcode scanner for a parent license (a license that has been split into one or more child licenses), our support staff will see this hardware item when helping you. If you decide to use this hardware item for a child license, it is recommended that you use the 'Manage Hardware' tool to specify that you are now using this hardware item on the child, and not the parent license. Properly specifying the hardware items being used by particular licenses greatly improves the time it takes for our support staff to help you with hardware related issues. This takes the guess work out of determining various conditions concerning your hardware configuration. If you do not have a license that has been split into child licenses, this tool is not applicable to your organization. To transfer hardware items between licenses, start by logging in to your account and navigating to the 'Manage Hardware' page. Navigating to the 'Manage Hardware' page. If you have multiple licenses, they will appear in the license selector in the top right corner of the page. Hardware for the license you have selected (or your regular, single license) will be shown in the 'Selected License's Hardware' list. For each item in the hardware list, you may click the transfer button (blue button with a right pointing arrow) to prepare it to be transferred. Build a list of items you wish to transfer in the 'Hardware Transfer List'. The items in the transfer list will be transferred to a single license at a time, so do not add hardware items to be transferred if you do not intend to transfer them to the same license. This tool prepares hardware items to be transferred between licenses. After you have created a list of all hardware items you wish to transfer, select the license you wish to transfer the items to. To select a license to receive the transfer, find the license you wish to transfer to in the licensing hierarchy at the right of the page. The company name of licenses may be clicked to select that particular license. The license support id and license company fields will be filled out with the information of the license you select. Ensure that you have the proper license selected, and click 'Process Transfer'. Activating the transfer process will move all hardware items into the license you have selected, and will be visible for license managers of that license. If you would like to view the hardware items for a child license, you may do so by selecting a license and clicking the 'View Hardware' button. While viewing the hardware for a child license, you may transfer hardware items to the parent license, as well as to any other license in the licensing hierarchy. 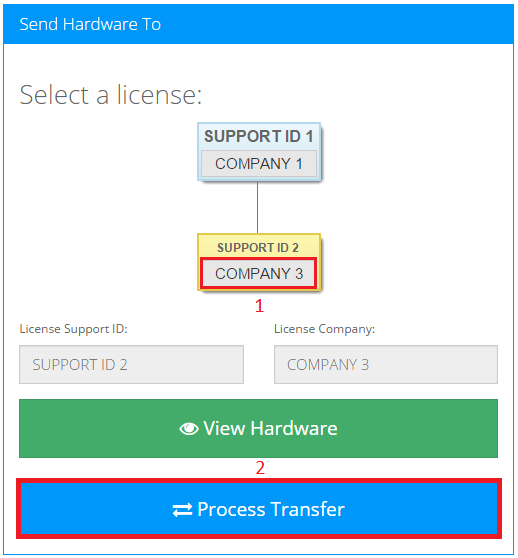 Selecting a license to receive the hardware transfer. Your user account may be associated with several licenses simultaneously. If your account has not been associated with more than one license, this guide will not be applicable to your sitaution. If your account has been associated with more than one license, you will find that some pages (such as submitting new tickets, viewing license information, etc.) will have a 'Selected License' box in the upper right corner of the page. The license selector in the upper right corner of the page allows you to switch between all licenses you have been approved on. Your licenses are displayed in the license selector with their support id (serial number). The license selector is for changing the current license you are viewing. To change the license you are currently viewing, click the license selector. Your licenses will be displayed as items in a drop-down box, with their support id (serial) as the item's name. If you change your selected license while you are working on a page (creating a support ticket, submitting a hardware request, etc. ), your progress will be lost, and the page will be refreshed. Your licenses will appear with their support id (serial number) in the license selector. Users associated with a license may be of either the standard user or manager permission level. All licenses are managed by one or more license managers, who may control the ability to access restricted tools and information regarding them. Learn how to associate your account with a license. License managers may receive requests from other users to access one or more of their licenses. Approving access to a license allows a user to view the license's key, submit support tickets, download software, view purchase history, view account hardware, and upload files. License managers have access to all aformentioned features, inluding the manage hardware tool, the ability to send purchase history requests, and the ability to send account hardware requests. To view, approve, or deny license access requests, navigate to the manage account page using the navigation bar to the left of the page. Licenses that your account has been associated with will appear under the 'Manage Licenses' section of the Manage Account page. The support id of the license, annual support expiration of the license, your managerial status of the license, and a tool to remove the association between your account and the license are displayed within the Manage Licenses section (see below). Licenses your account is associated with will appear as a row item. In the event that the unlink tool is not present for one or more of your licenses, and you wish to remove your account from the license, you must promote another user as a manager. Due to license managers controlling access to licenses, there must always be at least one license manager assigned to a license. Tools for promoting, demoting, and removing users from a license. 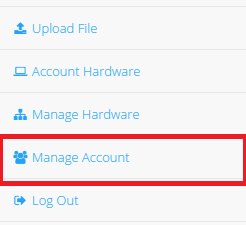 To promote, demote, or remove a user on a license you are a manager of, use the tools listed under the 'Manage Users' section of the Manage Account page; there, you may view the full name, email, and managerial status of users (see the image above). License access requests appear as rows in the 'License Access Requests' section of the Manage Account page. Requests to access licenses you are a manger of will appear under the 'License Access Requests' section of the Manage Account page. Approving access to the license will grant the requesting user the ability to see sensitive information about the license, as well as the ability to utilize tools through the license's annual support subscription. In the event that you suspect unauthorized access to your license(s), or your organization cannot gain managerial access to a license, please contact our support staff by calling us at (419) 826-0444. Support tickets are a convenient way of getting technical support. No longer will you be constrained by talking on the telephone for technical support. Simply create and access your support ticket(s) on your own time, regardless of our schedule. Remember, the support ticket system may only be used if you are associated with a license that currently has annual support. To create a support ticket, start by logging in to your account. 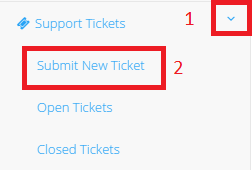 Once logged in, use the navigation bar on the left of the page to go to the 'Submit New Ticket' page by clicking 'Support Tickets', and then selecting 'Submit New Ticket'. To submit a new support ticket, you must have at least one approved license tied to your account. Also, the license you wish to submit a support ticket for must have active annual support. If you do not have active annual support, our system will not allow you to submit a new support ticket. 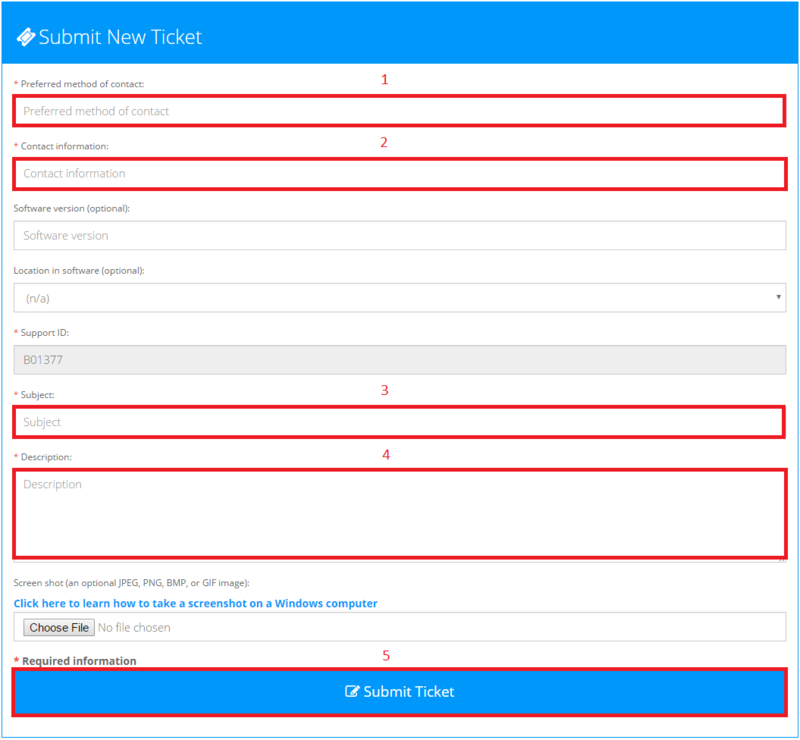 Complete the support ticket submission form (as shown below). You may optionally provide us with your software version, the location in the software you have encountered a problem with, and a screen shot of the problem you're having. To send your ticket, you must provide your preferred method of contact, your contact information, the subject of your problem, and a description of your problem. Once you have completed the form, click 'Submit Ticket'. The form used for submitting a new support ticket. Complete the form with the required information shown above. With the support ticket system, you are able to chat live with our support staff through your web browser. Before continuing, you must have an open support ticket (see 'Open a support ticket'). Login to your account. Using the navigation bar to the left, click 'Support Tickets' and then 'Open Tickets'. 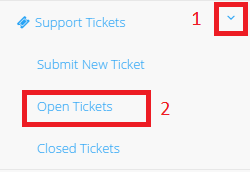 A list of your open support tickets is displayed in a table on the 'Open Tickets' page. To live chat with support staff, find the ticket you wish to chat about and click the 'Live Chat' button in the associated row. The 'Accepted' column of your tickets lets you know if one of our staff members has viewed and taken your support ticket to further assist you. You may use the live chat window regardless if your ticket has been accepted, as to allow you to send messages such as an update of your status before support staff view your ticket (i.e. You fixed the problem, had further problems, etc.). Sending a message to support staff is as easy as entering your message and clicking 'Send'. New messages will automatically load when they are sent, so you and the support staff member helping you will see each other's messages live as they are sent. 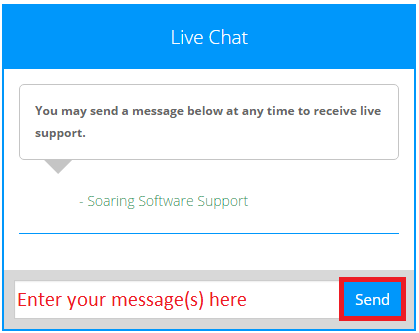 If you do not have the live chat window open, and you receive a new message, an alert will prompt you that you have a new support ticket message. After a support ticket has been closed, you will still be able to view your previous live chat messages for reference. If you are still having trouble even after using our live support system, please do not hesitate to call us at (419) 826-0444. The live chat window for sending and receiving messages to/from our support staff. To view your closed support tickets, login to your account. Using the navigation bar to the left of the page, click 'Support Tickets' and then 'Closed Tickets'. Support tickets are closed by our support staff after they have confirmed that your issue has been resolved. After a support ticket has been closed, you may still view messages our support staff have sent you via live chat. Navigating to the closed tickets page. 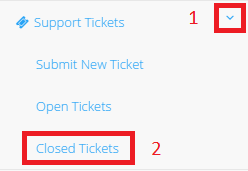 To view all details of your closed support ticket(s), click the 'View' button on the associated row of a support ticket. You will have access to all historical data (such as the time you created the ticket, when it was closed, etc. ), as well as all live chat messages that were exchanged with support staff. You will not be able to send new messages for support tickets that have already been closed. If you require further assistance, please contact us by calling (419) 826-0444, or open a new support ticket. Click 'View' to see information about this closed ticket. Occasionally, our support staff will request that you upload a file to them, such as a database backup, configuration files, etc. To send our support staff a file, you must use the uploading system accessible through your account. If support staff have requested that you upload a file, begin by logging in to your account and navigating to the 'Upload File' page. Navigating to the 'Upload File' page. Uploading a file requires that your license has an annual support subscription. If your license does not have an annual support subscription, please inform the support staff member that you are unable to upload the file due to this reason. To upload the file, click the 'Choose File' button to browse files on your computer. Follow the instructions of our support staff, and select the appropriate file to upload. After your file has been selected, click the 'Upload' button to being the upload process. Be patient, as larger files may take a long period of time to upload (such as database backups). After your file has been successfully processed and uploaded, you will receive a notification that the file has been uploaded. The file uploader tool allows you to select any file to send our support staff.